Project Type: Manufacturing/North American Headquarters. 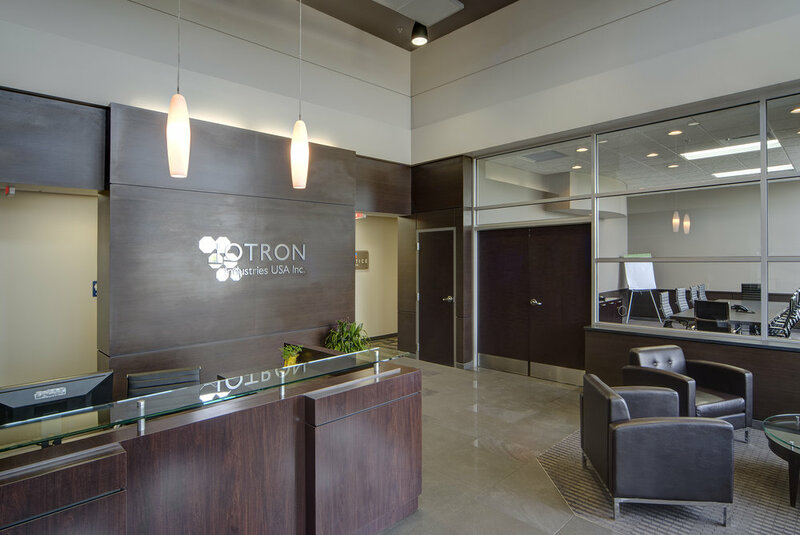 Canadian based Iotron Industries’ new North American operations house its Electron Beam Service Center, located in Columbia City, Indiana providing sterilization and processing services for food & agriculture, aerospace, industrial, plastics and medical industries. This facility provides unique services to the region and is strategically located to serve the large orthopedic community of Warsaw, Indiana. This facility houses a variety of functions including the North American Corporate Offices, shipping and receiving oﬃce, laboratory, warehouse storage space, a processing control room, as well as the specialty concrete structure which houses the electron beam components & highly technical engineering infrastructure and conveyor system.